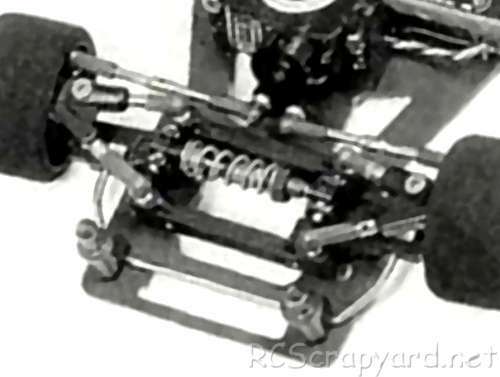 Trinity Revolver 12 Magic Carpet Ride • (Radio Controlled Model Archive) • RCScrapyard. 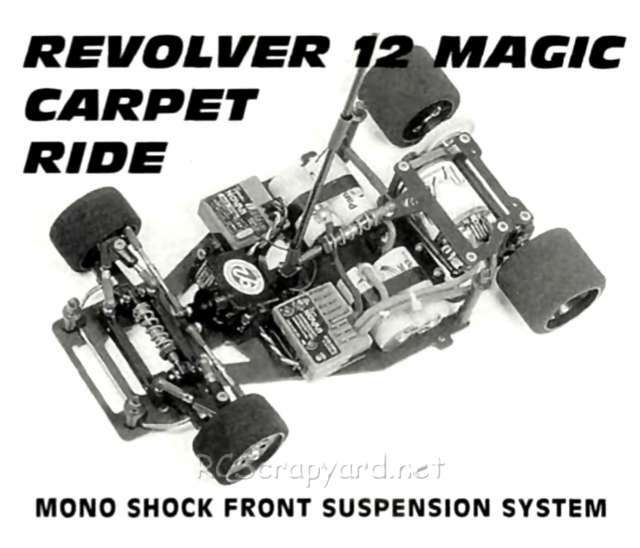 Introduced by Team Trinity circa 1995, the 2WD Revolver 12 Magic Carpet Ride (Revolver MCR) - # RE0008 - was distinctive with its horizontal mono-shock independent front suspension, on a carbon graphite chassis, with a ball differential, lightweight graphite and alloy parts, designed specifically for carpet tracks, but also works well on asphalt. 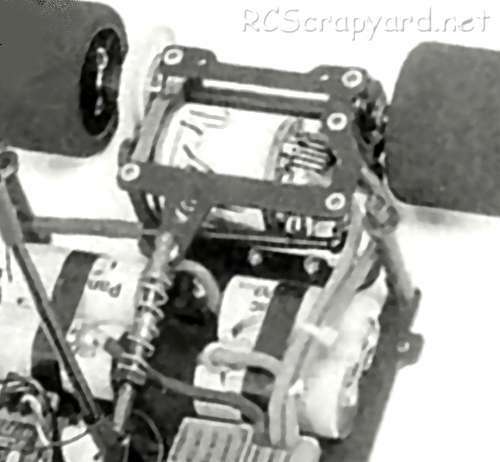 A 4-Cell Chassis - # RE1040 - and a Speedway Chassis - # RE1020 - were also available. To race the Trinity Revolver 12 MCR, it requires a high level of tuning for improved stability when cornering, to keep it on the track and give you more grip under acceleration. Even the smallest change in your cars settings can make a Big difference. Our simple to follow instruction chart will show how to attain the best Set-up for your personal requirements.